Ohio’s Hospice of Dayton nurse Cassie Baughman, LPN, CHPLN, was named CHPLN Nurse of the Year for 2019 by the Hospice and Palliative Certification Center (HPCC). 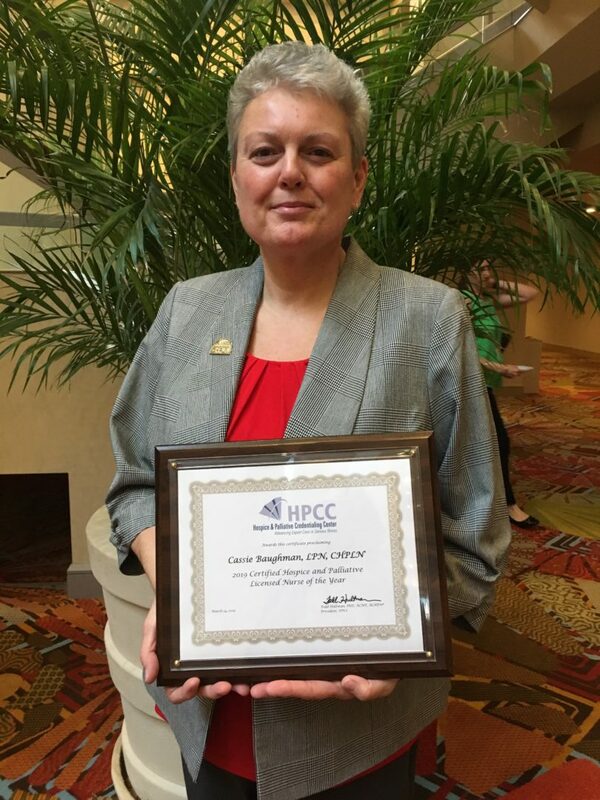 Cassie was honored at ceremonies at the Annual Assembly of Hospice and Palliative Care in Orlando, Florida. 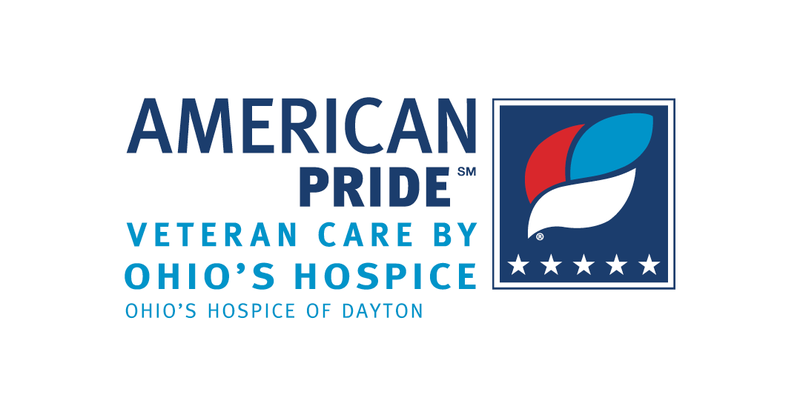 This prestigious award is presented annually, singling out one certified hospice and palliative licensed nurse for this honor. Nurses receiving the award are recognized for excellence in the professional practice of hospice/palliative licensed practical/vocational nursing. Recipients are also recognized for leadership through mentorship of others in hospice and palliative care and for seeking opportunities for advancement of knowledge and experience in the hospice and palliative nursing field. The Hospice and Palliative Credentialing Center (HPCC) offers specialty certification for hospice and palliative nurses. Over 18,000 health professionals hold HPCC credentials that establish a professional commitment to safe, ethical, and evidence-based care. 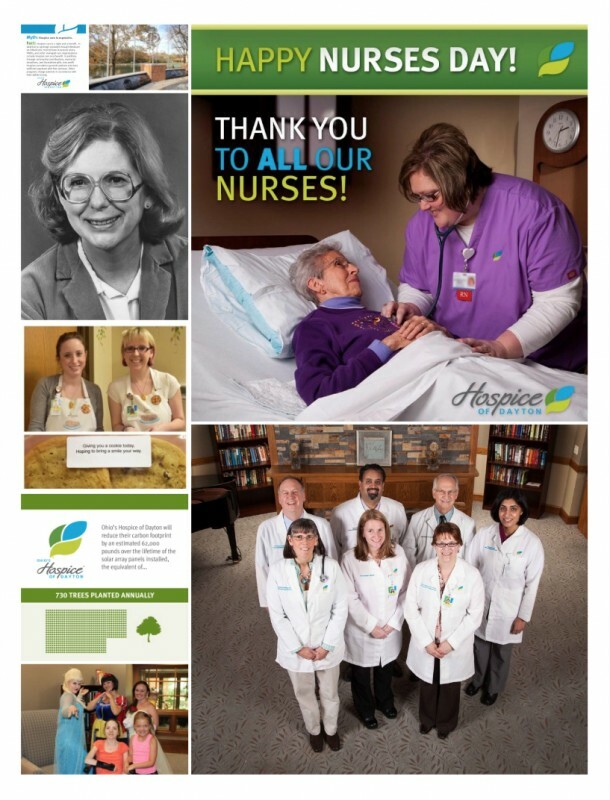 Together with the Hospice and Palliative Nurses Association and the Hospice and Palliative Nurses Foundation, HPCC works to advance expert care in serious illness. Cassie earned her certification from HPCC in 2016. She has served as a continuous care nurse at Ohio’s Hospice of Dayton, providing care at the patient bedside for hospice patients since 2007. 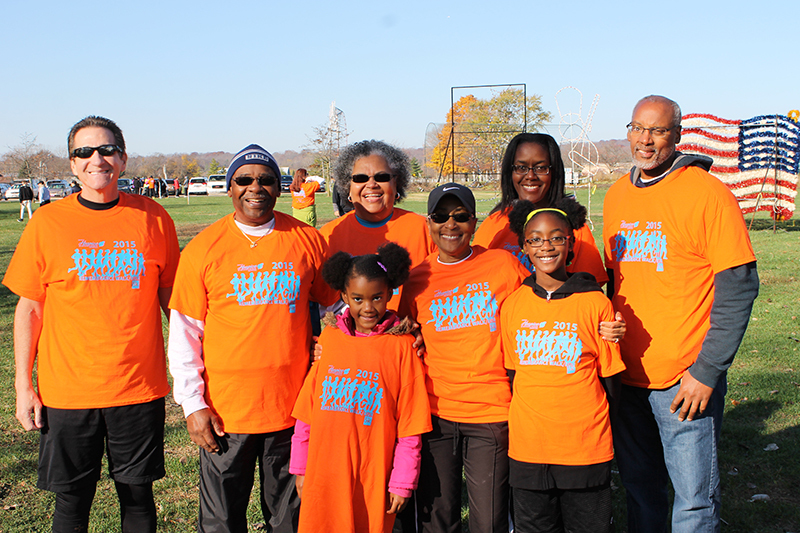 She is a strong advocate for continuing education and credentialing, and in 2017, took special interest in helping her teammates with CHPLN certification by developing study groups and tutoring sessions. We are proud of Cassie’s accomplishment and join in congratulating her on her achievement.